Zairus Master, CEO, Shine.com shares his views on the success strategy of Shine and simplifying job searches for job seekers. 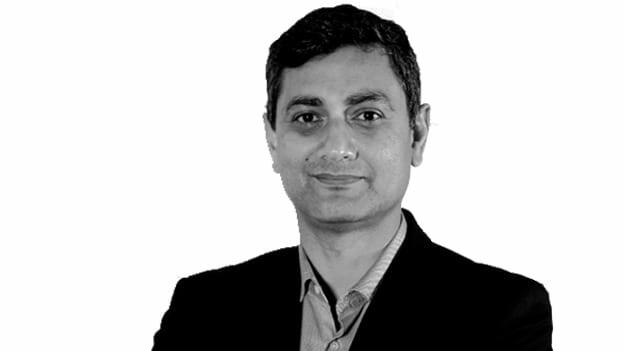 Zairus Master is the CEO of Shine.com has more than 20 years of experience working in various roles and has worked in top Telecom & FMCG companies in the past. Shine.com, founded in 2008, is the second largest online job portal in India that connects job seekers and recruiters by matching candidate profiles to the relevant job openings. Shine works closely to bridge the gap between talent & opportunities and offers end-to-end recruitment solutions. What has been the biggest driver of Shine’s success strategy? Shine was the 4th player to enter the job portal market. And over the last 4 years, we have progressed to being the 2nd largest job portal in India. The biggest driver of our success strategy has been a focus on continuously making the talent acquisition value chain more seamless. For us, one of the key learnings, as well as a challenge was how to stay agile and responsive to the fast-evolving trends in the recruitment industry while scaling up the organization at the same time. The skills in demand today are very different from what recruiters were looking for 4 years ago and are still constantly shifting every few months. We recognized this challenge early on and launched Shine Learning, which was a strategic move that has started to pay dividends already. Shine is determined to continue its efforts in making a job search a more seamless experience for all the stakeholders involved and hence positively impact the recruitment landscape. What do you think has been the inflection point in the recruitment industry and what trends do you foresee shaping up the future of this industry? The shift towards automation and use of analytics across functional areas has been a big inflection point that has led to a huge demand for new-age skills. Another thing that drove the sector was the introduction of new policies like GST that also led to a specific demand for subject matter experts. In terms of trends, the job industry will continue to change at a very fast pace which will lead to the emergence of new skills. The workforce will need to align itself with the fact that learning will be a more continuous process in the future and not a one-time thing. Artificial Intelligence and data analytics will have a strong foothold in the recruitment space in the coming years. AI will take over some of the most repetitive aspects of the hiring process. An example of a shaping trend in the future could be that candidates do not get hired by their resumes alone. Their Social Media Profiles, interests etc. could be a quintessential aspect of recruitments and all of this information can be gathered by recruiters through AI. Niche skill hiring, the emergence of Automation and Data Science, shift from a Desktop Interface to Mobile Interface will be some of the trends that are already shaping the future of this industry. Most companies in the landscape of the job market are focused on employers. How is Shine.com focusing on simplifying job searches for job seekers? We continuously keep improving our matching technology to provide a better match between job requirements and candidate skills. We use text analytics to analyze the resume of the candidate and recommend jobs as per his/her skill-sets. We are further strengthening our analytical tools to filter out irrelevant job recommendations. Our mission is to save the candidate’s time by providing the most accurate search results. Additionally, we are focusing on our mobile application and m-site as a majority of candidates today are conducting their job searches on mobile devices. We also help job seekers to upgrade skills that are required by companies through our latest venture – ShineLearning.com, which is a marketplace for courses and certifications. What was the vision behind launching Shine Learning? Off late there has been a significant change in the skills that are in demand. Our research showed that there is a plethora of jobs in the market, but the recruiters are finding it difficult to get candidates with required skill-sets. Our study also revealed that there are a lot of professionals who were unable to move forward due to the lack of required skills. In order to bridge this gap between the recruiters and the job seekers, we came up with Shine Learning. For the candidates, Shine Learning is a partner in upgrading their skills and builds their profile in niche skills and hence charters a path of career progression. For the recruiters, Shine Learning enables a pool of skilled candidates on Shine.com which can be identified by a profile badge given to all candidates who have done a certification. The vision, thus, was to create a seamless ecosystem of recruitment that caters to the demand for skill-based hiring. As a marketplace, we have partnered with all the key content partners like Skillsoft, Getcertgo etc. to ensure both depth and variety of courses available. How is the platform integrating predictive analysis and data science to achieve the business objective? Shine Learning uses data (both recruiters' and candidates') to map demands of various skill-sets across industries, predict emerging skill shortage areas, and provide course recommendations basis that. It uses an algorithm that not only forecasts emerging skill-sets but also suggests courses to candidates after analyzing their resumes and application history. It impacts and manifests a more effective ecosystem of job posting and recruiter search, candidate acquisition strategies, upskill program suggestions, and hence, builds a more efficient ecosystem for recruitment. Identifying learning preferences and generating learning paths take time and careful research. How are you providing a macro-level version of personalized learning? At Shine.com we have access to skills that recruiters are demanding. Also, through data analytics we are able to predict key skills that will emerge in the near future. We are able to correlate the macro environment with a candidate’s profile and able to predict the learning path that would be fruitful for them. Most e-learning platforms can only derive learning paths basis candidate searches but we have the unique advantage of being able to bridge the gap between what the candidate is looking for and what the recruiter wants, and make recommendations to the candidate accordingly. Engagement is everything in this day and age of digital. And it has been harder to achieve today than it was in the past. What engagement strategies does Shine apply to give a truly engaging experience to its customers? Candidates come to Shine with the objective of getting a good job and enhancing their career progression. On Shine, they not only get a match to their profile but also get information on how they can equip themselves better through Shine Learning. This combination of best job fit and capability building is the biggest engagement driver for candidates who visit Shine.com. We also have a content team that keeps posting blog articles about the latest trends in the market and tips for candidates, which a lot of people read. We launched a content platform called Talent Economy a while back where we invite industry experts to write and share their experiences with candidates. How will Shine.com continue to pursue comprehensive job content to benefit job seekers? What is its future strategy? The future strategy for Shine.com is to continue to move away from a transactional approach of providing just a job to the candidate. We will instead build a long-term relationship on the basis of long-term career enhancement through a combination of opportunities (job) and capability (up-skilling) building via Shine Learning. This will bring significant advantages to the recruiter community as well as our candidates. Also, Shine will then have an enriched database of up-skilled candidates in line with the recruiters’ requirement.